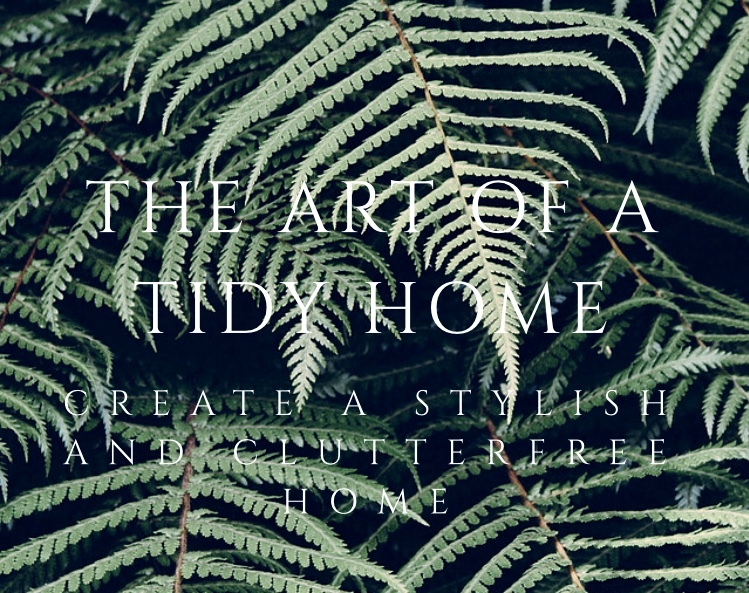 The art of a tidy home was borne from a life long ambition to hone my love of tidying, passion for interiors whilst caring for the environment. Since reading James Wallman’s Stuffocation, I agreed with his theory that people are drowning with ‘Stuff’ and putting too much emphasis on buying rather than enjoying life. I also have found on many occasions when visiting friends homes they often say ‘lovely to see you but excuse the mess’ or ‘I need to declutter but I don’t know where to start’. This compounded to developing the new home service Cluttercation. 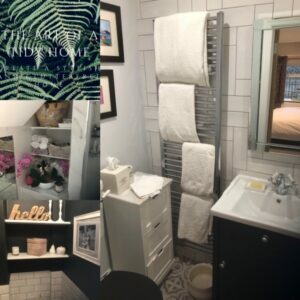 Whereby I help to transform people’s homes into a place where they can easily keep it clear whilst giving the tools to have a decluttering mindset and more sustainable way of shopping. Be it for a well needed declutter, getting ready to sell your property or getting ready for a guest. ​Once complete, your home will be a beacon of rest and relaxation, whilst practical and beautiful. If you think you’d like to book Leone’s services to help you declutter then get in touch, there is 20% off services until the end of April for all Sarratt customers. Use code SARRATT101. ​Book an initial home consultation to gain an understanding of how you can declutter and improve the look and feel of your home with a tailored Cluttercation programme. ​From one room to the full house. It is all possible. When it comes to Spring Cleaning, the sunshine comes out and gives us the impetus to refresh our homes. You’ll feel energised and proud of your improved space. However, it is easy to get overwhelmed when it comes to cleaning out the attic, garage, kitchen pantry or bedroom. Our homes have the power to inspire us as well as the power to drain us. 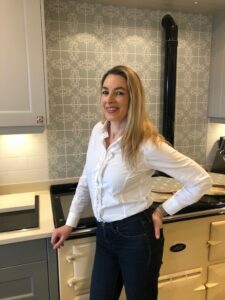 By following my easy steps below you can be on the course to declutter and give your home a new lease of life. Set realistic goals. Give yourself an hour a day, or morning a week to get decluttering. Get organised will ensure you get on track quickly. Have a big plastic box ready for RECYCLING, CHARITY, SELL and one for REHOUSING in another room. Buy or re-use boxes and crates to store items in, and use stickers to label them. Invest in vacuum storage bags for storing out of season clothes. A little investment upfront will pay dividends. Everything you possess should have a place in your home, it’s easy to get attached to items, but if you no longer have a use for an item, it is worn out or its not making you happy find a new home for it, or give it away. Be sure to not move clutter from one room to another. If it has no purpose its time to give it away. Start in the room that is least cluttered – so you can see results quickly. Then you’ll have the inclination to keep going. The hall is a good place to start, put things away that have congregated here, put a basket by the front door for shoes and hangers on pegs for people’s coats. Seasonalise coats and shoes storing away next seasons in vacuum bags. Declutter the kitchen doing one cupboard at a time, clean each cupboard as you go. Use Lazy Susan’s to hold tins and bottles. Store dry goods in tins or jars rather than their packets and they will last longer. If you are short of space, put large pots and pans that you only use at Christmas in boxes, label them and store then in the garage ready for Christmas. Breadmakers and coffee makers you no longer use should be sold to give you room to enjoy the items you do use. If you have a table in the kitchen don’t let it be a dumping ground for paper work, keep it in a labelled box file so you can enjoy a cup of coffee without looking at the pile of ‘to do’. Create a memory box for all the items you hold dear, as you declutter rooms, you’ll find items that you can keep here Be selective but keep precious items that will bring you joy when you have time to review them. ‘KEEP IT TIDY’ should become your family motto, clearing items away will mean less items will accumulate and the house will become a tidy and efficient house. Be bold and opt for a ‘non-buying’ month, this will stop you buying impromptu items that you really don’t need that just become clutter. Look for items will the least amount of packaging, so you are throwing less away.